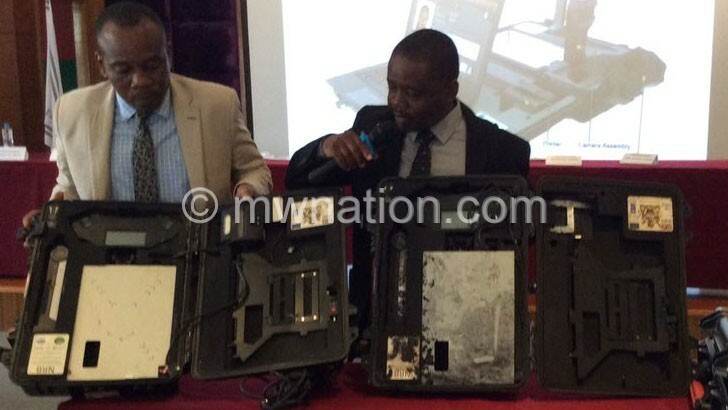 Police in Mzimba have arrested three people, including Malawi Electoral Commission (MEC) and National Registration Bureau (NRB) employees, for allegedly stealing and trying to sell a genset for the ongoing registration process. The genset was being used at Kazuni Registration Centre in Mzimba but was allegedly stolen to be sold at Mpherembe Trading Centre in Mzimba West Constituency. Mzimba Police station officer Louis Chigadula identified the three as MEC employee Chifundo Macheso, his NRB counterpart Andrew Magombo and Martin Kumwenda, an agent whom the two were allegedly using to sell the generator. Macheso comes from Wisiki Village, Traditional Authority (T/A) Machinjiri in Blantyre, Magombo is from Ngononda Village, T/A Kachindamoto in Dedza and Kumwenda is from Aneya Village, Senior Chief Mpherembe in Mzimba. Chigadula said the three are now in custody. He said: “They wanted to sell the generator at Mpherembe, but our road traffic officers found that Kumwenda did not have papers for the generator he had carried. The genset theft comes just a week after a MEC laptop went missing. A police report on the theft, based on information submitted to Mzuzu Police Station by MEC electoral services officer (logistics) Tyson Magalasi, showed that the equipment was part of the larger consignment transferred from Chitipa to Mzuzu on October 23 2018. The report also showed that the theft occurred between October 23 and 24 at Katoto Secondary School hall in Mzuzu, which MEC is using as its warehouse. MEC chief elections officer Sam Alfandika said earlier that there was no need to panic as the data was secured before the computer was stolen. MEC earlier also ruled out the possibility of data in the biometric voter registration kit (BVRK) found in Mozambique being used to rig the May 21 2019 Tripartite Elections. 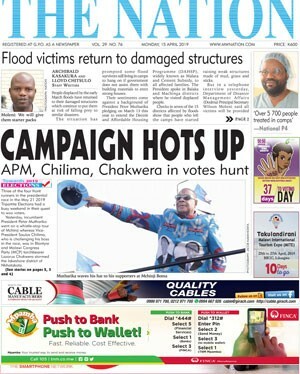 On Monday, the Malawi Law Society (MLS) said MEC should not handle investigations into the theft of BVRK in September as the electoral body cannot investigate itself. MLS president Alfred Majamanda, in a written response, said the electoral body must strive to repair its image and manage public perception of how the body is conducting itself.